Chance the Rapper was honored Sunday at the I Heart Radio awards in California. 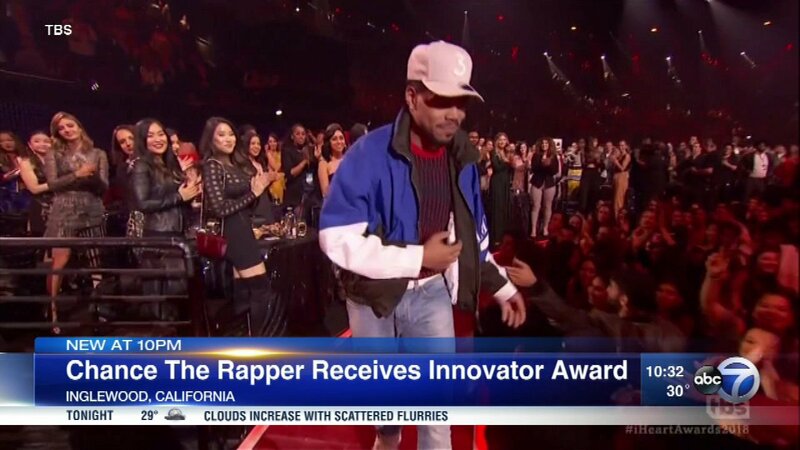 Chance received the Innovator Award for his musical accomplishments and his dedication to Chicago's communities and Chicago Public Schools. He is the first streaming-only artist to win three Grammy awards.